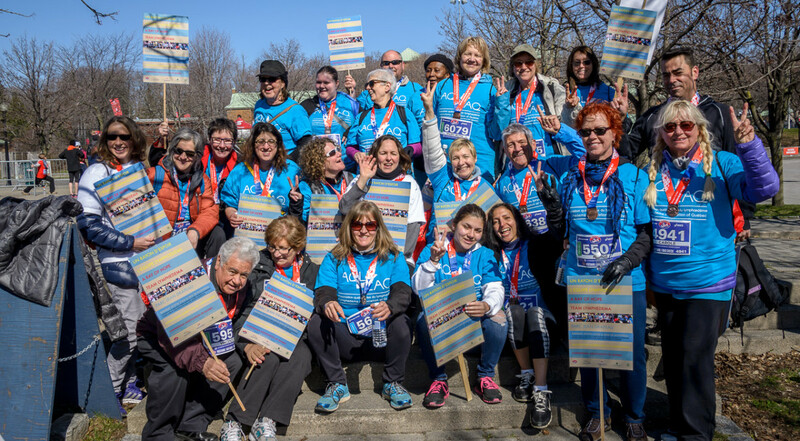 Our Lymphedema teams are participating for the 7th year in the 2017 Scotiabank Charity Challenge 5k walk/run on Apr 22, 2017, 11.00, at Park Jean Drapeau. Come join in the fun and help support the Lymphedema Cause! Scroll down the page & choose: Lymphedema Association of Québec. Click on the LOGO and choose on the right Register and fundraise. Follow the instructions on the registration form. Enter your Charity Pin Code 17AQL5K . Once you have registered for the walk, please follow the instructions to sign up for your fund-raising page for the LAQ. Choose a team or a name of a participant. us at 514-979-2463 or aql@infolympho.ca. We thank you for your support! Together we can make a difference! The Lymphedema Association of Quebec provides support, education and awareness to people living with lymphedema, their families, friends and to health care professionals. We inform and educate about lymphedema and its causes, risk reduction and treatments of this chronic disease, and encourage scientific research leading to a cure. Copyright © 2015 Lymphedema Association of Quebec. All Rights reserved.